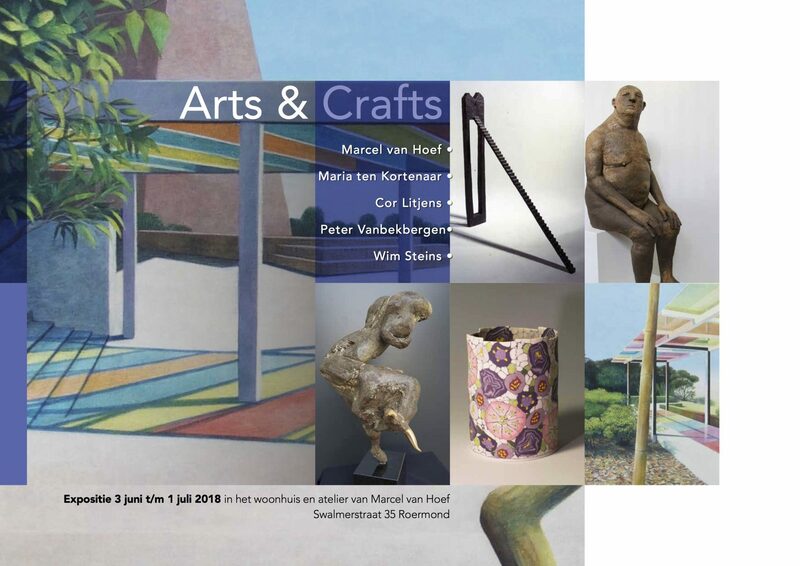 From 4 – 25th of June you are welcome to visit a big exhibition of contemporary art which I organise in our home and my studio in Roermond. I invited three well-known artists to exhibit their works of art together with recent paintings I made. They are the Dutch sculptor Wim Steins with sculptures in bronze, Petra Wolf from Germany with objects in clay and the Norwegian artist Geir Nustad with objects in glass. Each of the presented artists is highly respected for the craftsmanship which is an important aspect in the appearance of the pieces of art.